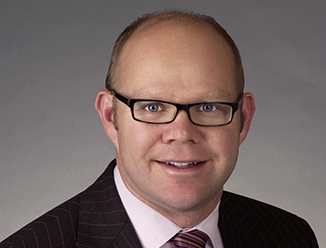 Chris Decouflé, Executive Vice President with CBRE’s National Retail Partners (NRP). The NRP is a select team of CBRE Capital Markets professionals who specialize in the sale and recapitalization of retail properties throughout the United States. Over the past four years, The NRP was responsible for more than $13 billion retail investment sales through 484 transactions. Mr. Decoufle held leadership roles in all phases of retail commercial real estate, including investment sales, retail development and retail operations. Over he past 20 years, Mr. Decouflé has participated in portfolio and single-asset retail transactions in virtually every market in the southeastern United States. In addition to his capital markets experience, Mr. Decouflé’s career includes a background in all phases of retail. Mr. Decouflé had direct responsibility for site selection, contract negotiation, zoning, closing, engineering and architecture for 18 single-tenant, freestanding developments throughout the Atlanta metropolitan region and he was the founder and CEO of a start-up retailer from its conceptual and operational stages. Mr. Decouflé brings a multi-disciplined skill set to his team’s clients that provide unique insight on positioning retail assets in their best light to the marketplace. He has a passion for working on a strategic level with his clients, helping set achievable goals, formulating creative solutions, and producing excellent results.